Hong Kong: Last week Pacific Basin shipping executive Jacob Bliksted Sørensen successfully completed his 1,000 km solo charity kitesurf expedition between Mozambique and Kenya in aid of his campaign, Mission: Safe Ocean. Setting off from Pemba in northern Mozambique, Sørensen took 24 days to kitesurf the 1,000 km distance along the East African coast to Mombasa in Kenya. 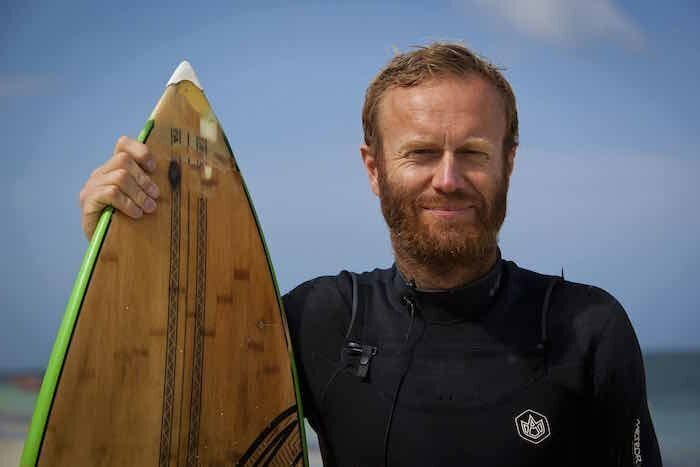 Over the course of this journey, Sørensen also achieved a remarkable total distance surfed of just over 2,000km. Sørensen is a general manager at Hong Kong-based shipowner Pacific Basin and the founder of Mission: Safe Ocean, a campaign to raise awareness of the roots causes of piracy in the Indian Ocean, to support seafarer safety and to raise money for two charities, the Mission to Seafarers and African Development Solutions. His vision is for a safe Indian Ocean for all enabling a 6000 km journey along the East African coast, all the way from Durban to Djibouti, including the 3,000 km coastline of Somalia. Sørensen says there is a risk of complacency in the face of a drop in the reported number of piracy incidents in these waters. “Of course, any fall in these figures is very welcome news, but we mustn’t make the mistake of thinking that we’ve solved the problem,” he says. Until the root causes of piracy are also addressed, the threat to all seafarers and shipping will remain, Sørensen states. He feels it is vital that people understand the underlying factors that have created this threat. The estimated economic cost of Somali-based piracy is $2.3bn per year, but only 2.5% of that figure is invested in long-term solutions. “This figure needs to be much higher,” Sørensen says. “Through talking to local people and experts that I met in East Africa during my expedition, I also learnt more about the true impact of illegal fishing and habitat destruction as an important contributory factor to the piracy threat,” says the kitesurfer. He reckons it is vital to invest in grassroots projects that deliver the support required by coastal communities in Somalia, which is exactly the work being done by African Development Solutions, one of the charities Sørensen is backing.